﻿ Uniontown Auto Repair | Green Auto Shop | J&B Auto Service, Inc.
Get in now to have your summer cruiser winterized, install new winter tires, or have your 4WD serviced. Fast, reliable service to get your fleet drivers back on the road as quickly as possible. relax in our kid-friendly waiting area. Early Bird and Night Owl drop off. 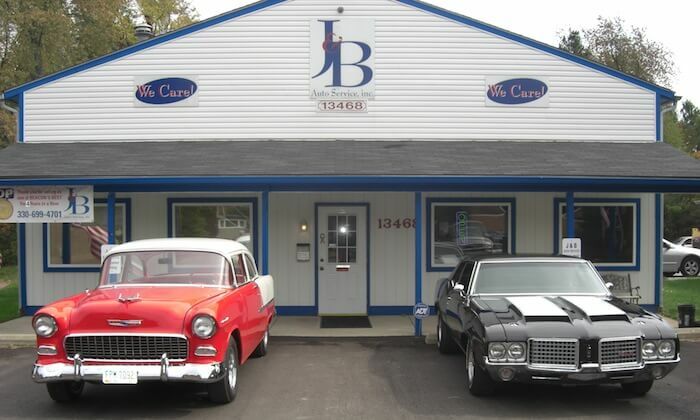 J&B Auto provides quality automotive service for residents of Akron, Canton, Ellet, Green, Hartville, and Uniontown. We have built a great reputation by providing award winning auto repair services to get you back on the road quickly. No one wants their car to sit in a shop for days or weeks. We employ only ASE Certified Automotive Technicians so you can be sure your vehicle is being repaired by a trained technician. J & B strives to get your car fixed right, as quickly as it can be done and at a fair price. We provide a written estimate to each customer before repair work begins. J & B has many happy repeat customers. We think that you will enjoy the J & B service difference. 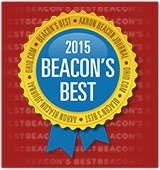 Thank you for voting us one of Beacon’s Best 8 years in a row! We meet and exceed the dealer requirements to service and maintain your vehicle. We explain fully what we will do and what was done. We do not charge dealer rates for our customers. Our shop is neat and clean. We offer free wi-fi, coffee and a children’s play area. Our reputation depends on you. We offer a convenient shuttle service. We use only top quality guaranteed parts.